Poway, Ca: Nancy Armstrong, 1938 – 2018, was born in Minneapolis, MN where she spent summers at the cabin and winters ice skating and tobogganing with her two sisters and attended Our Lady of Peace Catholic High School. She met her husband of 60 years in high school and became a Navy wife, holding down the fort when he was deployed. They settled in Poway in 1967, where she loved being a wife and a mother. She is survived by her husband Bill, their three daughters. Terry (Karl), Pam & Sharon, her sister Sandy, seven beloved grandkids Alex, Lindsay, Keegan, Bridget, Amie, Jared and Andy (Lena) and great-grandsons Donavin and Avory. When their daughters were young, she was a Girl Scout Leader, PTA President and helped run the C.C.D. Program at Miramar Naval Air Station. After being a Teacher’s Aide at Garden Road Elementary, she went to college for her degree to become a Librarian and worked for the P.U.S.D. for 31 years. She loved opening children’s minds up to the world of books and reading. She relished her time spent with family and her many friends. In her leisure time she enjoyed baking, playing the piano, square dancing, country music, photography, playing cards, camping with the RV group (The Huggy Bunch), traveling the U.S., working in her rose garden and reading a good book. She especially delighted in expressing her creative and artistic abilities while Tole Painting and Quilting. She had an extraordinary ability to put patterns and colors together. 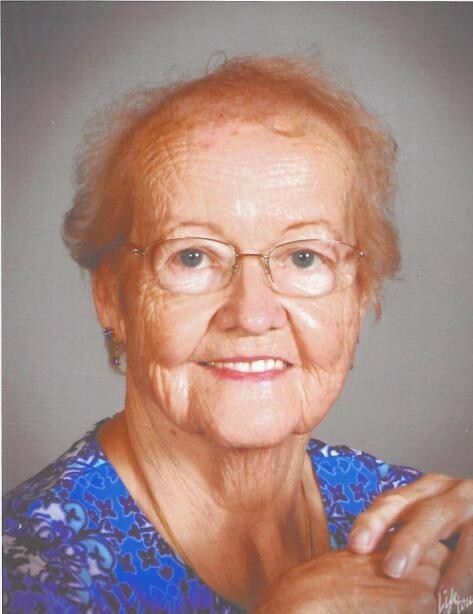 She was also an active member of St. Gabriel Parish, being a founding member, attending services in the beginning, in the Twin Peaks Middle School outdoor cafeteria area. We will forever remember her, miss her and love her.